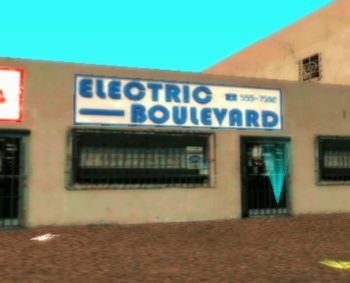 Electic Boulevard is a chain of electronics stores in Vice City in 1984, the setting of Grand Theft Auto: Vice City Stories. The chain has stores located in Vice Point, Ocean Beach, Little Havana and Downtown. It is accessible to the player. The name is based off the song Electric Avenue by Eddy Grant, which was made a year before the events of this game. This page was last modified on 11 June 2013, at 22:53.